John W. S. Bradshaw is a Visiting Fellow and Director of the Anthrozoology Institute at the University of Bristol, where he was formerly Reader in Companion Animal Behavior and University Research Theme Leader for Animal Welfare & Behavior. 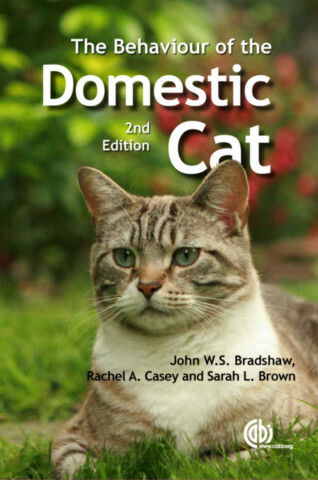 His main research interests are in the behavior and welfare of domestic cats and dogs, and their relationships with people; he has published over 100 research papers and book chapters on these topics. Since 2009 he has focused his attention on the dissemination of animal welfare science to pet owners: his book Dog Sense/In Defence of Dogs was a non-fiction bestseller in both the UK and USA in 2011, and has been translated into nine other languages. He was one of the founders of the International Society for Anthrozoology (ISAZ), and has been a member of the Council of the Association for the Study of Animal Behaviour (ASAB) and set up its Accreditation Committee (1999-present).